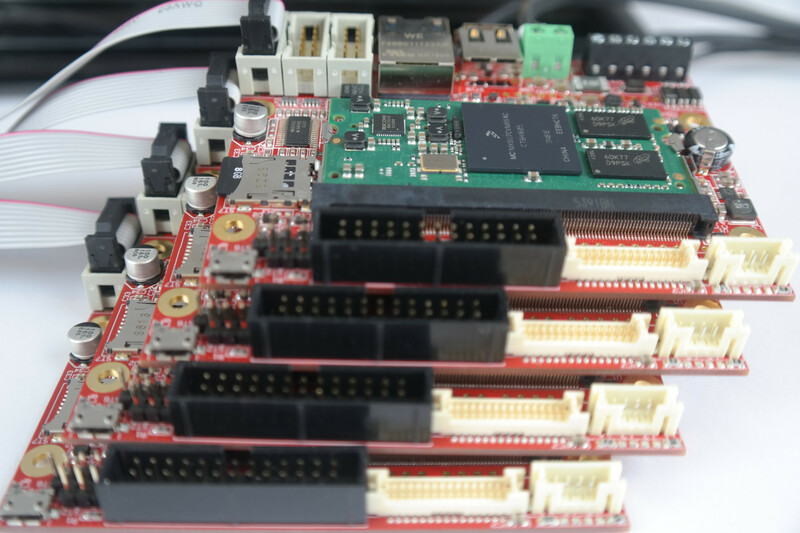 The Librem 5 crowdfunding campaign is still cranking along nicely, while it is going on we wanted to provide a progress report on the hardware selection as well as the advancements with our existing development boards. The base hardware with i.MX 6 is demonstrably working. i.MX 8M, Etnaviv, full HD, are the likely hardware combination candidates for the Librem 5 phone. 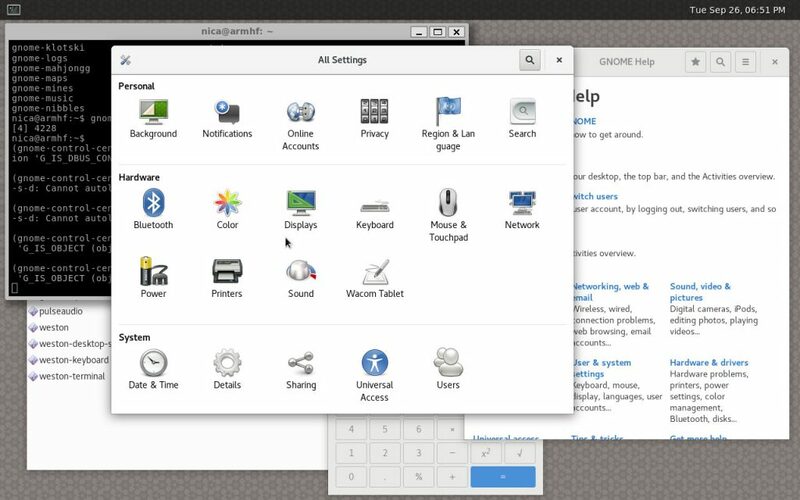 Purism Librem 5 (early development boards) booting the Linux kernel, Wayland, and a terminal in early August 2017. We have tested nearly every combination of CPU (and GPU, see further below), Purism’s goals of creating hardware that is ethical, runs free software, can separate baseband from main CPU, and the ability to run GNU/Linux (not Android), quickly narrowed our scope to i.MX 6 as one of the only viable options. 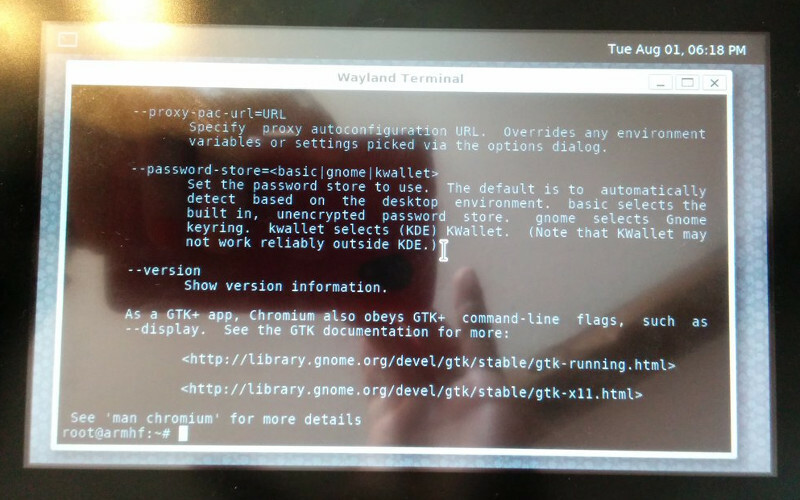 We have been testing and working with i.MX 6 and are pleased to report healthy progress with that hardware, as you can see from the photos, we have the Linux kernel booting, Wayland running, and in these photos GNOME/GTK and even Gnome Settings showing. In Q1 of 2018 we can get i.MX 8M into production. 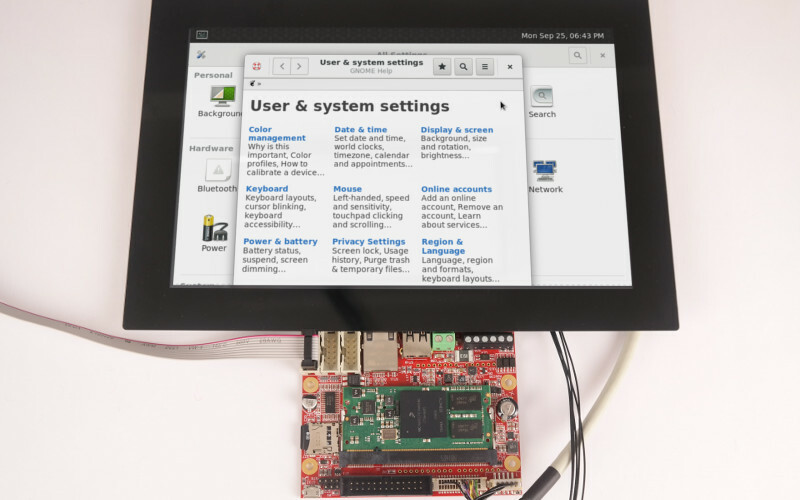 This is well ahead of our required hardware selection date of April 2018, so we will very likely be using the i.MX 8M in the Librem 5. GPU drivers have been a big issue for a long time in the free software world. Manufacturers would typically not release any specification or documentation but only binary-only drivers. For PC hardware this problem has somewhat been resolved, which is why Purism uses Intel GPUs on our Librem products, since Intel has free drivers merged in mainline Linux kernel. But for ARM SOCs, the situation is not ideal. MALI: One of the biggest players in the ARM field is MALI. The MALI core was originally developed by Falanx Microsystems until ARM bought their patents and copyrights and is now licensing the MALI core for ARM designs. ARM is not releasing any specs about the MALI GPU cores and does not provide any free software drivers for them. (The MALI400 is e.g. also used in the Allwinner A64 chip which again is used on Pine64 and in the Pinebook). 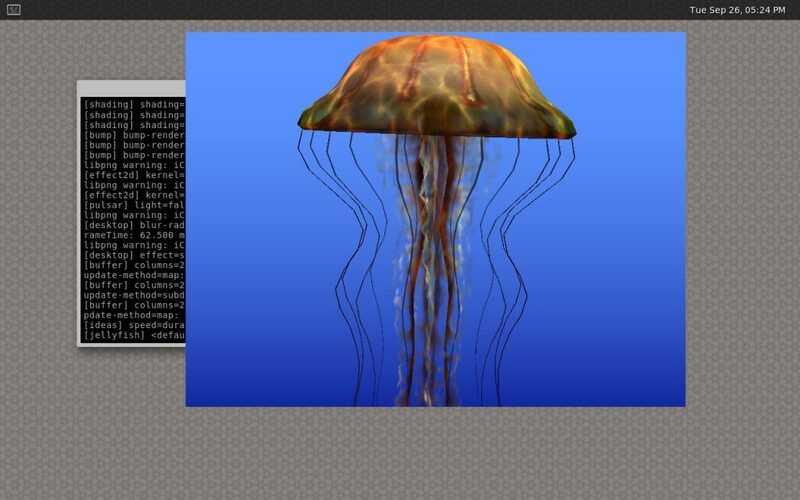 There is an effort to develop a free driver by reverse engineering existing code, which is called LIMA, but its functionality and support is still limited. Adreno: another big one is the Adreno GPU core, found in many Qualcomm Snapdragon SOCs. For this one also, no documentation exists although a reverse engineering project produced a pretty well working driver, called freedreno, which is also supported by current Mesa versions. PowerVR: the PowerVR GPU cores are found mostly in embedded PowerPCs and Texas Instruments “OMAP” CPUs. As of today, we are not aware of any free development for these, only some binary-only drivers are available. There is an effort started by the Free Software Foundation but it seems that the project has stalled for some time now. 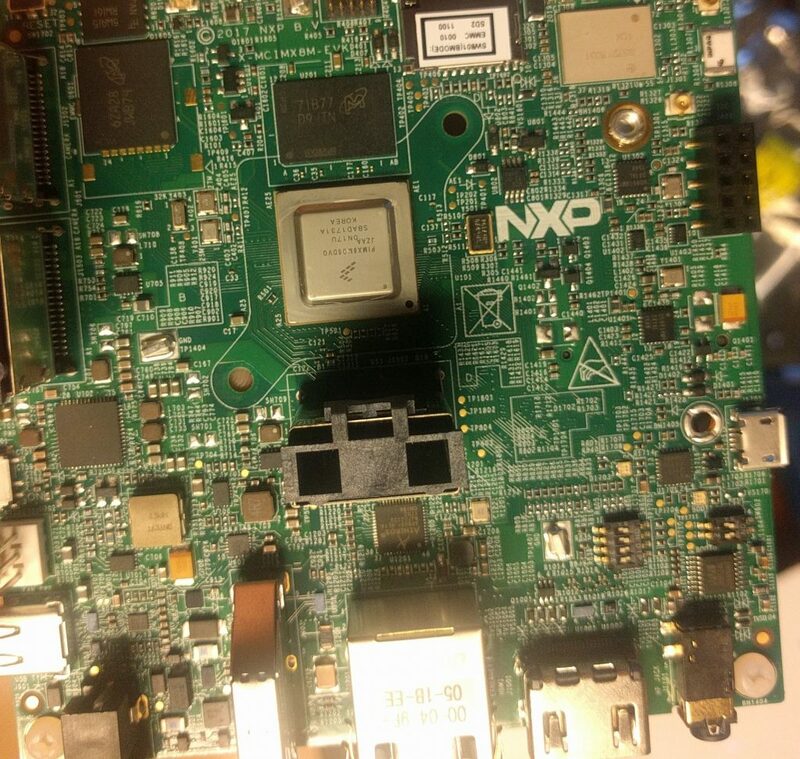 Tegra: the first generation nVIDIA “Tegra” SOCs has Linux kernel mainline support since 2012. The latest Tegra SOCs use the same GPU building blocks as the desktop PC graphics cards and can be used with the Nouveau GPU driver. i.MX 6 Vivante: since Linux kernel 4.8, a new set of DRM/GPU drivers has been incorporated into the mainline Linux kernel, the so-called Etnaviv. Etnaviv support is also included in Mesa, starting with Mesa 17. We have successfully been operating a prototype for our phone using a mainline Linux kernel 4.12.4 with Etnaviv support. From microSD we booted into a Debian GNU/Linux unstable with most of the UI stuff installed. It works! We can safely say that upstream OpenGL hardware GPU support for i.MX 6 has landed in major Linux distributions, which is great news since hardware GUI acceleration is badly needed for any type of modern mobile GUI. 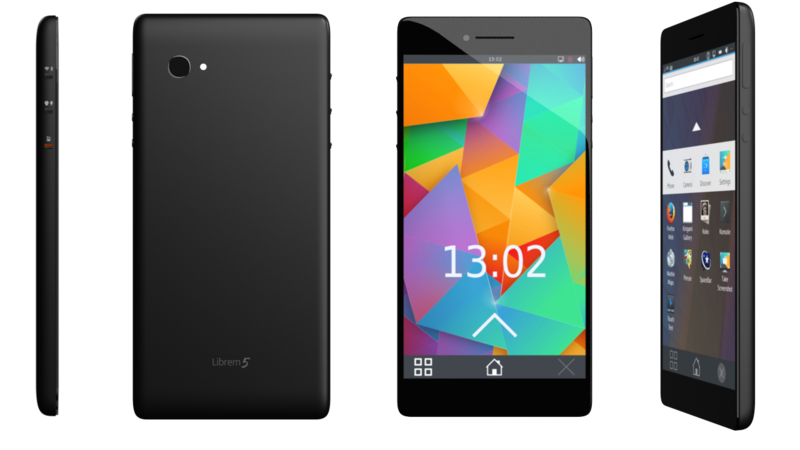 With the Librem 5, we are very excited to be advancing the mobile phone space to be ethical, respect digital rights, run GNU/Linux, be secure, and create a future that we are proud to be part of. We will be posting regular development updates as we progress with the hardware, software, and partners.